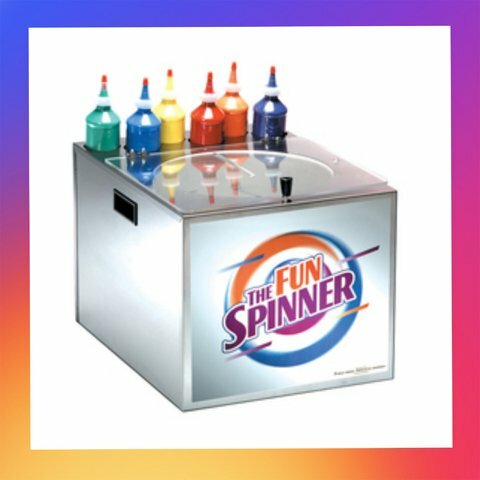 KIDS AND ADULTS CAN HAVE A GREAT TIME WITH THE SPIN ART. JUT ADD BY DROPS, YOUR FAVORITE BRIGHT COLORS OF PAINT ONTO THE SPINNING PEDESTAL TO CREATE BEAUTIFUL DESIGNS. PAINT IS WASHABLE. COME WITH PAINT AND 50 STOCK CARDS. GREAT FOR ANY PARTY!